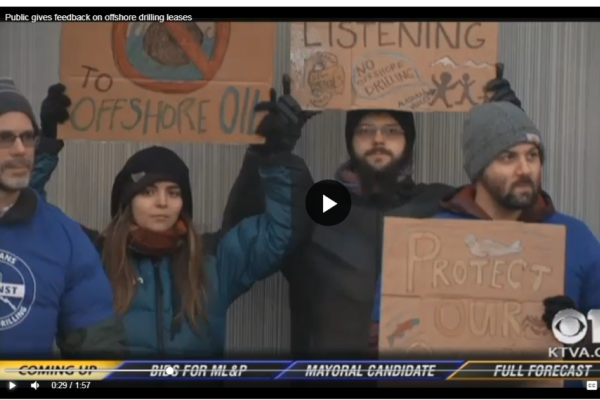 On February 21, I joined dozens of impassioned Alaskans to protest the Trump administration’s reckless plan to sell nearly all our coastline to Big Oil. 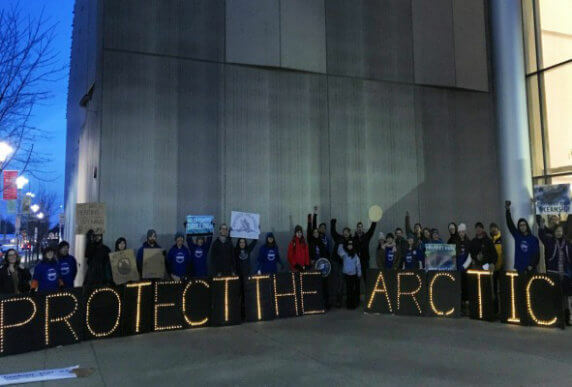 Standing outside the Dena’ina Center in Anchorage, I watched through the fog of my breath in the chilly winter evening as Alaska Native activists called the plan a violation of human rights. The administration had organized only two meetings for the entire state, held at the same time, and neither gave people the opportunity to speak their mind on the record, as a formal public hearing would. 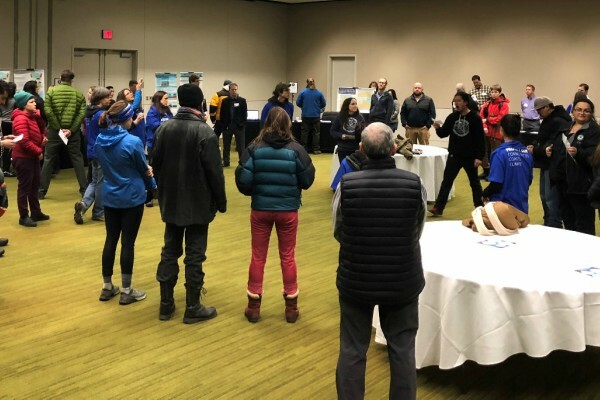 The rally against Trump’s reckless plan to sell off Alaska’s coast to Big Oil was organized by a coalition of indigenous activists and joined by environmental groups like Pacific Environment. Check out the clip from a local CBS station (that’s me on the right). There was also a computer station where attendees could type in their comments. But that wasn’t good enough for the activists in attendance. The protests were captured by local CBS and NPR stations, but coastal Alaskan voices need all the support that they can get. Will you add your voice and tell President Trump and Interior Secretary Zinke that we want to #ProtectOurCoast? Thank you for all you do to protect Alaska’s beautiful coastline from catastrophic oil spills.